Below is a list of questions that are frequently asked by our customers. If you have a question not covered here, or would prefer to speak to a human being, please contact us today – our team would be happy to answer your query personally and say hello. How does Mac Service & Repair work at Beyond the Box? Beyond the Box are an Apple Authorised Service Provider and can assist with Mac issues, repairs and upgrades in and out of warranty. We love and use Apple technology ourselves, so we know how hard it is to be without our Macs! Our expert technicians diagnose and service hundreds of Apple Macs every week, and can help solve your Mac problems easily and quickly. Mac issues that are covered by an Apple warranty are serviced for you free of charge. Please note that not all issues (such as issues with software, configuration or user damage) are covered underneath Apple’s warranty, and in such cases, you may be charged a fee. For information on what is and isn’t covered under Apple’s warranty, please see their warranty information, or contact us today. For Macs outside of their Apple warranty, we charge a $95.00 diagnostic fee to assess your machinne and quote you on any service or repair required. This fee goes towards any service or repairs that you approve and go-ahead with. Our state of the art service workshop is set up to ensure the highest quality of service, and our expert Apple certified technicians have many decades of combined experience servicing, repairing, troubleshooting and optimising Macs. Unlike the busy and sometimes overwhelming Apple Stores, our retail showroom and service centre is a comfortable and easy location where you can speak with one of our experts straight away – there is no need to make an appointment, simply bring your Mac in. We operate on a queue based system for our Mac repairs, and always endeavor to have your working Mac back with you as soon as possible. For customers requiring even faster turnaround, we do offer a priority ‘queue jump’ service for an additional fee. For more information on how our queue system works, or to enquire about current turnaround times for Mac servicing and repair, please contact us. How much does it cost for an iPad screen repair? As an Apple Authorised Service Provider, Beyond the Box only use genuine Apple parts and replacements. When you have your iPad serviced through Beyond the Box, you can rest easy knowing that your iPad is 100% genuine and covered by an Apple warranty. You may see non-authorised repairers claiming that they can repair iPad displays and components – exercise caution, as these repairs are not approved by Apple, and use non-genuine parts that can fail or cause further issues with your iPad. 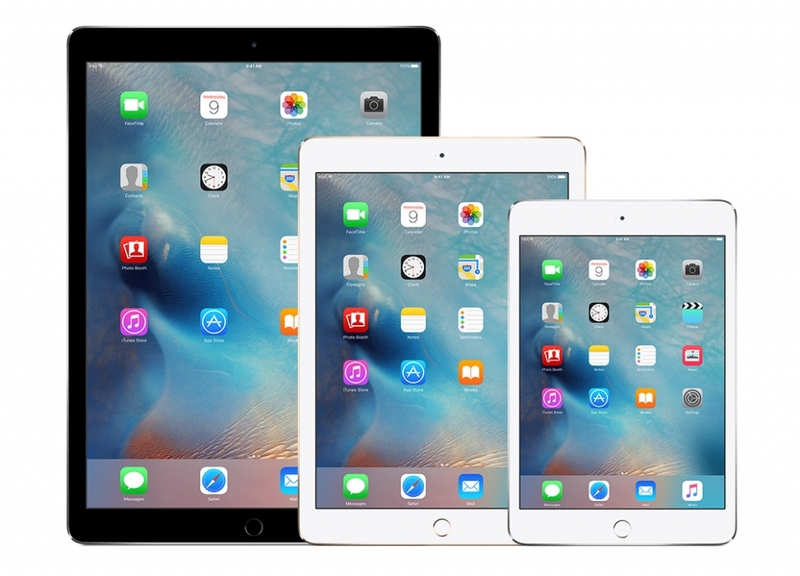 For whole unit exchange pricing on iPad, as well as more information on how iPad service works at Beyond the Box, please click here. How can Beyond the Box help my school or business with service & repair? Beyond the Box are an Apple Authorised Education Reseller and member of the Apple Consultants Network and are recognised by Apple for having expert staff who can assist schools and businesses with every part of their Apple experience; including service & repair. Our BeID Service & Repair portal provides schools and businesses with an easy way to submit, track, and manage servicing and repairs for their fleet of Apple devices. We help manage service and repair for organisations of any size – from just a few iPhones in a small business, to rollouts of several thousand iPads and Macs in Government, Catholic and Independent schools. Our experienced service team can interface and work directly with insurers, manage logistics and service part procurement, and our dedicated account managers are with you every step of the way. To find out more information about how we can help your school or business, contact us today! We recommend (if possible) that you perform the following steps before bringing your device in to us. These quick tips might even fix the issue! Try turning your iPhone or iPad off then on again. If these tips didn’t fix the problem with your device (or weren’t relevant to your issue), then you will need to come in and see us. You can come in any time – no appointment required. For opening hours and contact details, please click here. 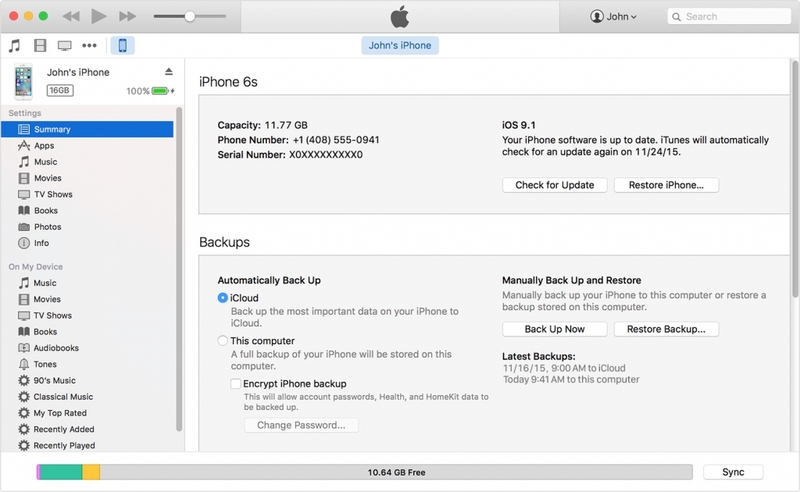 Ensure you have a current backup of your iPhone or iPad through iCloud or in iTunes on a Mac or PC. 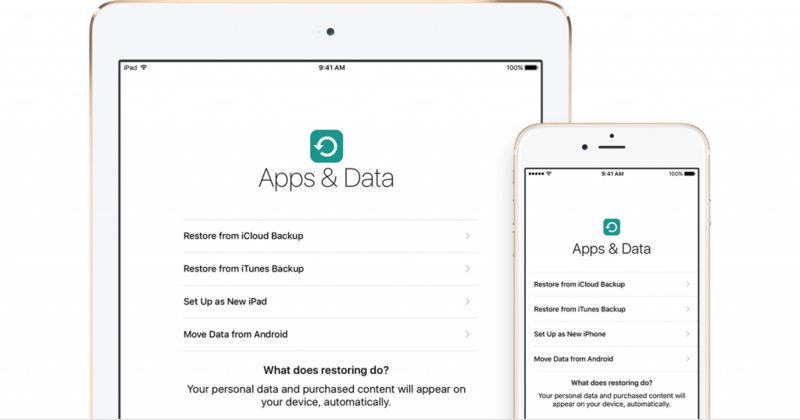 For more information on how to backup your device, click here. Sign out of your iCloud account and disable Find my iPhone. For more information on how disable Find my iPhone, click here. Make sure you have taken note and can supply any passwords or passcodes for services you are having issues with. Beyond the Box doesn’t always need your passwords, however if your issue is specific to a service (sending or receiving email, logging into Facebook), then we may require then. Come in and see us with a smile on your face – we know it’s never fun having to get your equipment prepared, but we are here to help support you. For older iPhone devices (5,5S,SE,6, 6 Plus) the display replacement process is a mail-in to Apple’s Repair Centre and can take 5-7 business days. If you require a loan phone in the mean time we can assist with this, however this does depend on our current stock of loan phones. For more information on loan phone availability, please contact us. * Prices listed are for replacement of your iPhone display, which may or may not be possible depending on the level of damage to your iPhone. For a quote on repairing your iPhone, contact us for more information. Pricing is current as of 14th September 2018, and is subject to change. E&OE. Where is the service request portal? With our new website, Beyond the Box has transitioned a new and improved account system – BeID. With BeID, you can not only lodge new service and repair requests with us, but also check up on existing service requests, track inbound and outbound shipments, review and download service reports and paperwork, and much more – all from our website. 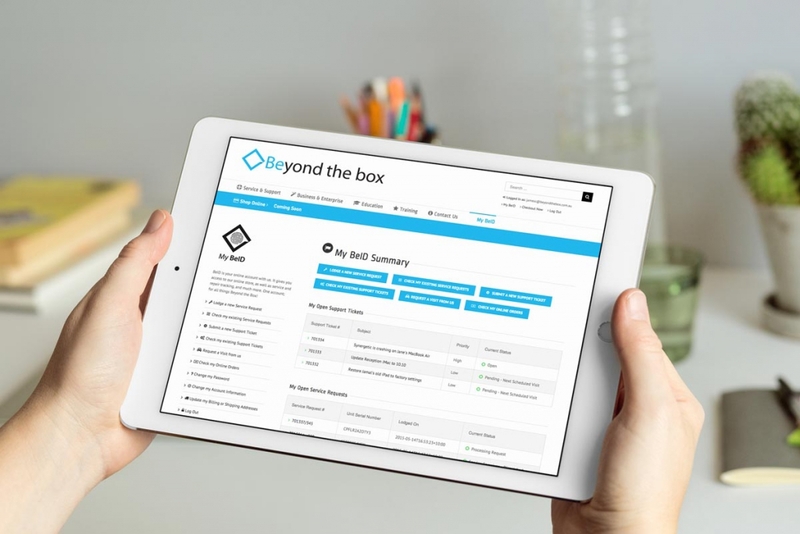 If you or your organisation has used Beyond the Box for service or repairs in the past, you may have lodged repairs through our original service portal. With the introduction of BeID, this portal is no longer available, and all new service requests are lodged from our BeID portal. If you do not currently have access to an institutional BeID for lodging a service request, and have a service or repair you would like to send to us, please contact our Service Manager – James Corcoran on (03) 9372 8899 or contact us here, and we will get you set up immediately. The Beyond the Box Online store is now open. Click here to shop online at Beyond the Box.